Canyons, Captain beefheart, Green Velvet, Liberty City, PBR Streetgang and more. This mix is a back to back mix recorded by ReviveHER head honcho and former Bugged Out! 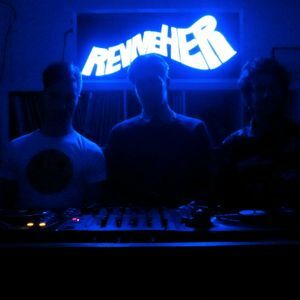 resident Bi-Bop aka Coops, Silver Magic Airways man / ReviveHER resident Nicholas Feel and Shoreditch Radio and club DJ KITT. Nicholas Feel joined the ReviveHER ranks having interviewed their specials guests on his Silver Magic radio show. Fine Examples include TBD, Eddie C, Thomas Bullock, Tim Sweeney, James Priestley and Farley Jackmaster Funk! The pair collaborated on a legendary EFES rave back in November and now DJ together. Kitt, within close circles, had DJed with Bicep in the ReviveHER room at secretsundaze NYE 2010/11. The trio are now working as a collective on a new musical project called “Guess Who”, launching in Dalston in June. This promo mix was the perfect opportunity to feel each others biceps and compliment each others styles ahead of their appearance this Friday, with Bicep headlining the ReviveHER room.